Democratic presidential candidate Beto O’Rourke warned global warming “could, at its worst, lead to extinction” during his first campaign stop at a coffee shop in Keokuk, Iowa, on Thursday. O’Rourke praised the Green New Deal resolution, which New York Rep. Alexandria Ocasio-Cortez introduced in February. 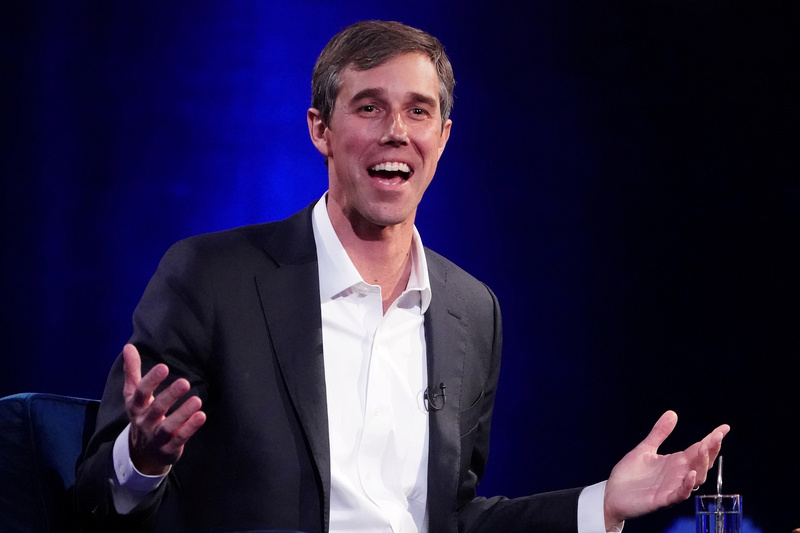 O’Rourke, a former Texas congressman, announced his presidential bid Thursday, joining a crowded Democratic field for 2020. O’Rourke lost his race against Republican Texas Sen. Ted Cruz in November 2018 and has been traveling the country mulling the future since then. Democrats want to make climate change a top issue in 2020, framing Republicans as “deniers” who oppose efforts to curb global warming and boost the economy. However, many Democrats are also looking for ways to avoid being tied to the Green New Deal, which calls for a massive expansion of government. “Perhaps most importantly of all, because our very existence depends on it, we can unleash the ingenuity and creativity of millions of Americans who want to ensure that we squarely confront the challenge of climate change before it’s too late,” O’Rourke said in his campaign launch video. Beto O’Rourke speaks to Oprah Winfrey during a taping of her TV show in the Manhattan borough of New York City, New York, U.S., Feb. 5, 2019. REUTERS/Carlo Allegri. The Green New Deal calls for achieving “net-zero” emissions within 10 years and massively expanding the welfare state. Republicans called it a “socialist” plan to take over the economy and see it as a key to winning in 2020. Many Democrats running for president in 2020 have embraced the plan, including New Jersey Sen. Cory Booker, California Sen. Kamala Harris, Massachusetts Sen. Elizabeth Warren and Vermont Sen. Bernie Sanders, an independent running as a Democrat.